Baked and decorated the cookies I just couldn't resist adding some cupcakes. Simple vanilla-lemon zest flavoured cake batter, topped with smooth royal icing and those incredibly sweet looking cake toppers. Saw these in a cake-decorating shop and well... couldn't leave without. Anyone care for a diaper change? This is the diaper wreath I made. 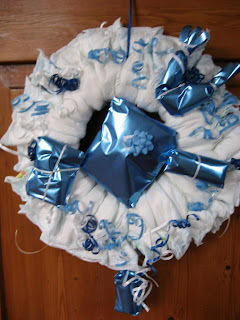 That a cool diaper wreath! how'd you do that? The cup cakes and their decorations are perfect for baby. Yeah I love that wreath too!! Wasn't that difficult getting them to stay put?? 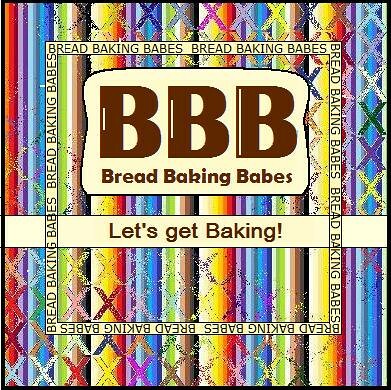 Looks great as your cupcakes do!! I really liked this idea, it's easier to make and not as bulky to have around in a newborn's house with all the cards and presents they have to put somewhere. This one can hang on some door without being to "in your face". eh.. easier to make than a diaper cake I mean. I really love the decoration on the cupcakes!! Could you share which shop that is? And is there a recipe for the cakes on your blog!